When it comes to selecting the best flooring for your home, there are plenty of options to choose from. 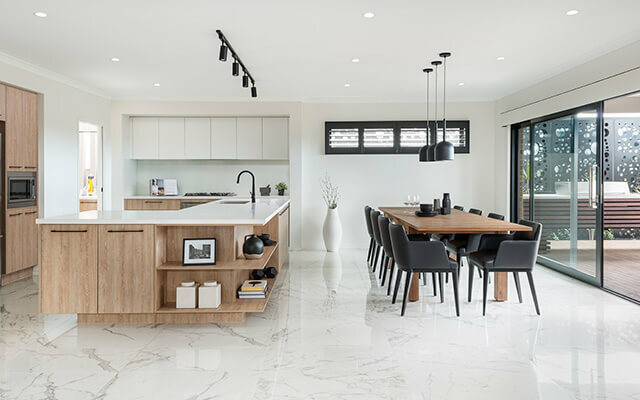 If you’re struggling to decide which is the best flooring option for you, here are our top 5 flooring picks we’re loving right now that may help you narrow down the options. As one of the most popular tiling options, there are plenty of reasons why we love ceramic tiles. In addition to their scratch-resistant durability, their availability in a wide variety of colour, styles and designs and their relative ease to maintain and repair, they’re also very easy to keep clean! Not limited exclusively to use as flooring, ceramic tiles are also a popular choice to use on walls, backsplashes and showers, meaning you can easily tie your ceramic tile flooring into other elements of your home. Because of their durability, they’re an ideal flooring option for wet or high-traffic areas of the home like the kitchen, bathrooms or laundry, but are also a popular choice for hallways, living and other areas of the home. Carpeting can be a great option if you want to add some softness, warmth and a touch of comfort to a room. 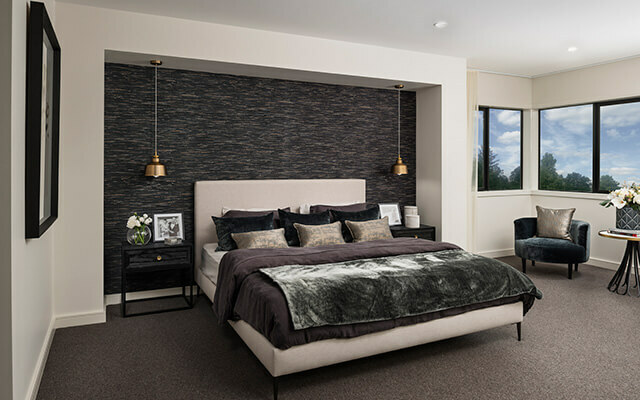 While it may not be an ideal choice for high-traffic or wet areas of the home, it can be a great option for bedrooms and living areas. While there are some downsides to carpeting in that it won’t necessarily be as durable as some other flooring options, it may not be as friendly to people who suffer from allergies and it can be more prone to stains and general wear and tear, however it is versatile enough to use in both casual and formal areas of the home and can also be a good way to manage the acoustics and sound projection within a space. Available in almost any colour you can think of, you can also choose from a wide variety of textures, piles, materials and tones to make it easy to achieve the exact look you’re going for. Timber floor boards are a great way to add a natural yet luxurious touch to your home. Versatile enough to use in almost any room of the home, timber floor boards are relatively hard-wearing, is easy to clean and maintain and can add value to your home. 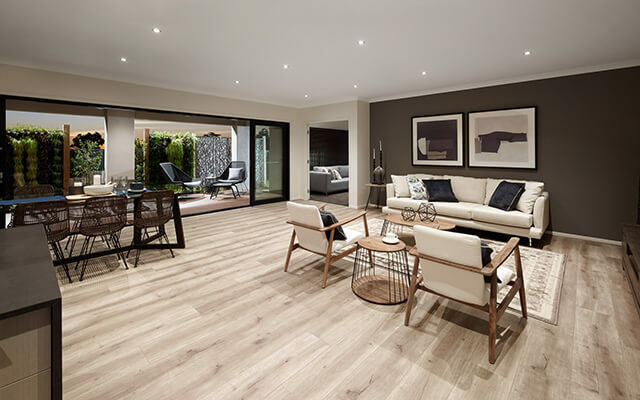 Softer underfoot than tiles and easier to maintain than carpeting, timber flooring can act as a good form of insulation making the thermal properties of timber flooring a big drawcard. Timber flooring can also be easily paired with rugs in key areas of the home where you want to add some extra warmth, texture or comfort. 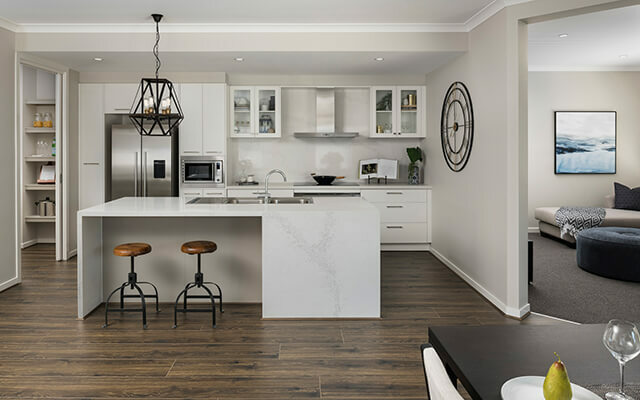 With so many timber options to choose from including Australian Beech, Bamboo, Pine, Spotted Gum or French Oak, you can also pick from an endless selection of stains which allow you to achieve almost any look you can dream of. If you love the look of timber but aren’t as keen on the price tag, timber-look laminate flooring could provide a great alternative. Having come a long way since it first appeared on the market, laminate flooring is now so well designed and manufactured that many people struggle to distinguish it from the real thing. 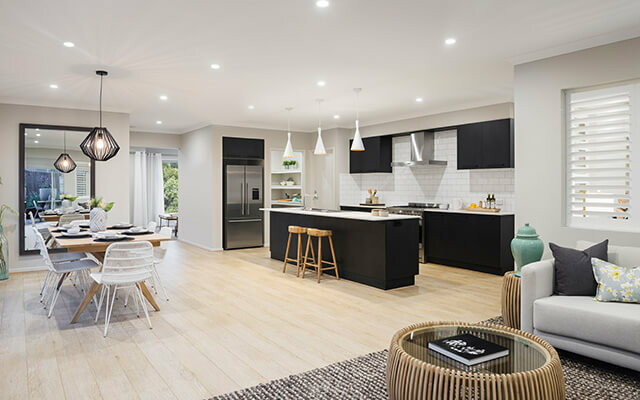 Available in a wide variety of widths and styles that mimic real timber flooring, they’re easy to install, are resistant to moisture and are relatively hard-wearing. While they can’t be sanded back and re-stained like traditional floorboards and may not add as much value to the home as real timber flooring, they are a really good way to achieve the timber-look for a fraction of the price. If you like timber flooring but want to inject an added level of intrigue, interest and superior luxury, parquetry flooring could prove to be a great choice. Whether you most like herringbone, chequered or another pattern or design, parquetry flooring can be specially designed to create almost any look you want. As a stylish and timeless flooring option, parquetry flooring can also be cleverly used to define specific areas of the home. While it’s hard to fault the beauty of well-designed parquetry flooring, because of the added complexity that comes with designing and laying a parquetry floor, it’s likely that it’ll also come at a premium price to most other types of flooring.